My hair stylist recently introduced me to a new product that I must share. I am a creature of habit so when I find a good product I generally stick with it until the heavens move. Well maybe not that long but you get my point. 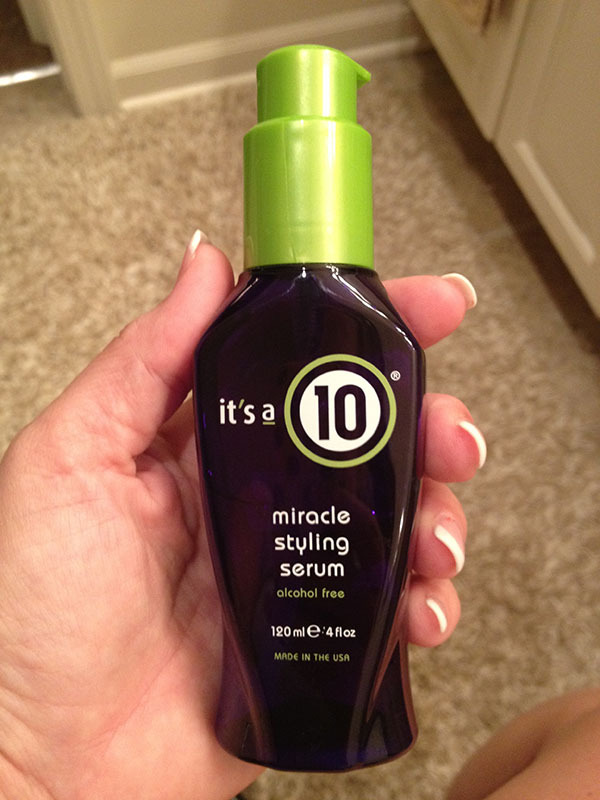 It's a 10 styling serum is awesome! It will be replacing my Morocan oil. Why? Color! Now don't get all postal on me and comment on how wonderful moroccan oil is and that I am crazy. Moroccan oil is wonderful and I would still be using it if it weren't for one simple fact. The color of the oil and the color of my hair (blonde) don't bode well. Moroccan oil can tend to turn blondes a little brassy! eek.... that is an ugly word for blondes! 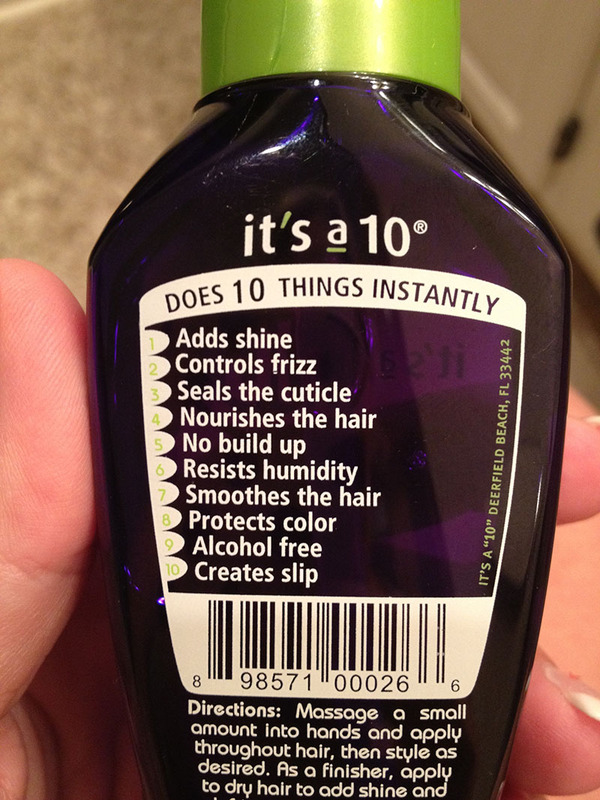 So if your a brunette carry on as usual, but if your blonde you need to try It's a 10. It really does compare to Moraccan oil and smells good too! I have pretty long blonde hair and it is thick so a good oil treatment is a must for me. I have used several and the ability for it to absorb into the cuticle is important. You don't want some oil to lay on your hair. I use it when my hair is wet right after I wash it, and again after I am finished flat ironing it! Love it! Give it a try and let me know if you love it too! This is my personal opinion and not endorsed by It's a10. i love this, too - but i cannot get away from enjoy's shine & smooth!